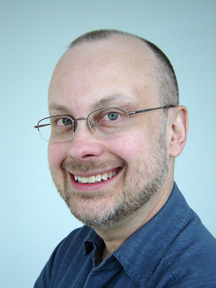 On this tenth anniversary of Y2K, I nominate Peter de Jager, who wrote the seminal article "Doomsday 2000" for ComputerWorld magazine, which first alerted the world to the potential disaster that might have occurred on January 1, 2000, and mobilized the world to take the steps necessary to avoid that fate. The Lifeboat Foundation would do well to honor this man, and this example of how foresight and preparedness can indeed avert catastrophe as technology marches ahead. I am thrilled to report that the Lifeboat Foundation has taken my recommendation and today bestowed the Guardian Award on Peter de Jager of Brampton, Ontario, Canada. You can read the press release here. Don and Sarah had had another discussion about SETI, a year before the original Sigma Draconis signal had been detected. They'd been in their late forties then, and Sarah, depressed about the failure to detect any message, had been worried that she'd devoted her life to something pointless. "Maybe they are out there," Don had said, while they went for a walk one evening. He'd gotten religion about his weight a few years before, and they now did a half-hour walk every evening during the good weather, and he used a treadmill in the basement in winter. "But maybe they're just keeping quiet. You know, so as not to contaminate our culture. The Prime Directive, and all that." Sarah had shaken her head. "No, no. The aliens have an obligation to let us know they're there." "Because they'd be an existence proof that it's possible to survive technological adolescence  you know, the period during which you have tools that could destroy your entire species but no mechanism in place yet to prevent them from ever being used. We developed radio in 1895, and we developed nuclear weapons just fifty years later, in 1945. Is it possible for a civilization to survive for centuries, or millennia, once you know how to make nuclear weapons? And if those don't kill you, rampaging AI or nanotech or genetically engineered weapons might  unless you find some way to survive all that. Well, any civilization whose signals we pick up is almost certainly going to be much older than we are; receiving a signal would tell us that it's possible to survive." "I guess," Don said. They'd come to where Betty Ann Drive crossed Senlac Road, and they turned right. Senlac had sidewalks, but Betty Ann didn't. "For sure," she replied. "It's the ultimate in Marshall McLuhan: the medium is the message. Just detecting it, even if we don't understand it, tells us the most important thing ever." He considered that. "You know, we should have Peter de Jager over sometime soon. I haven't played go in ages; Peter always likes a game." She sounded irritated. "What's Peter got to do with anything?" "Well, what's he best remembered for?" Peter de Jager lived in Brampton, just west of Toronto. He moved in some of the same social circles as the Halifaxes did. 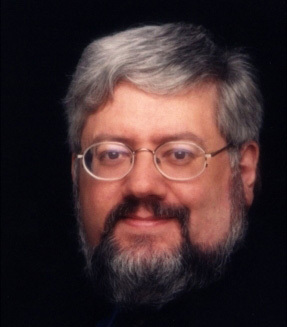 Back in 1993, he'd written the seminal article "Doomsday 2000" for ComputerWorld magazine, alerting humanity to the possibility of enormous computer problems when the year 2000 rolled around. Peter spent the next seven years sounding the warning call as loudly as he could. 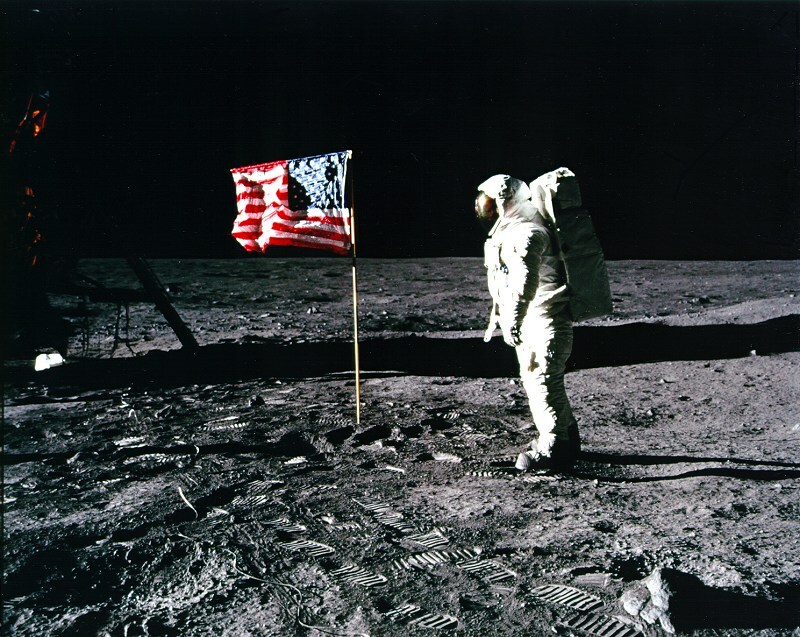 Millions of person-hours and billions of dollars were spent correcting the problem, and when the sun rose on Saturday, January 1, 2000, no disasters occurred: airplanes kept flying, money stored electronically in banks didn't suddenly disappear, and so on. But did Peter de Jager get thanked? No. Instead, he was excoriated. He was a charlatan, said some, including Canada's National Post, in a year-end summation of the events of 2000  and their proof was that nothing had gone wrong. Don and Sarah were passing Willowdale Middle School now, where Carl was just finishing grade eight. "But what's Y2K got to do with the aliens not signaling their existence?" she asked. "Maybe they understand how dangerous it would be for us to know that some races did manage to survive technological adolescence. We got through Y2K because of lots of really hard work by really dedicated people, but once we were through it, we assumed that we would have gotten through it regardless. Surviving into the year 2000 was taken as  what was your phrase?  `an existence proof' that such survival had been inevitable. Well, detecting alien races who've survived technological adolescence would be taken the same way. Instead of us thinking it was very difficult to survive the stage we're going through, we'd see it as a cakewalk. They survived it, so surely we will, too." I was appalled by the snotty tone in Christopher Shulgan's profile of computer expert Peter de Jager ("The sky fell on him," Saturday, December 23, 2000). The Y2K computer problem was very, very real, and credit for disaster being averted rightly belongs to de Jager. Instead of cheapjack potshots, Canada -- and the world -- should be honouring this man. He surely deserves the Order of Canada for his tireless, selfless work; indeed, he should be lauded as one of the most important Canadians of the twentieth century -- because without his efforts, there was a real possibility that we wouldn't all be here to enjoy the twenty-first. And now, at last, Peter is getting some of the credit he's due. Congratulations, Peter! Hon. Mauril Bélanger (Ottawa—Vanier, Lib. 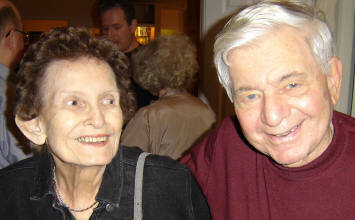 ): Mr. Speaker, this past summer, Canada lost one of its pioneers in science fiction writing, Phyllis Gotlieb, born Phyllis Bloom, in Toronto, in 1926. The Sunburst Award, an award given annually to Canadian writers of speculative fiction, is named after her first novel, Sunburst, published in 1964. Thanks to our parliamentary library, I have now had the pleasure to read that novel. I am truly happy to have discovered an author who gives us great characters and an intelligent storyline. I look forward to reading more of her novels. Some have called her the mother of Canadian science fiction; others, it is grandmother. 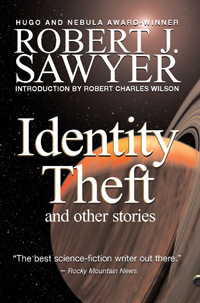 Robert J. Sawyer, Canada's most successful author of the genre, settled it by calling her “the grand dame of Canadian science fiction”, and I concur. I wish to extend to her husband, Calvin Gotlieb, her son, Leo, and her daughters, Margaret and Jane, our condolences, but also our gratitude for her legacy. Pictured: Phyllis and Kelly Gotlieb at my home. Many thanks to Barb Collishaw for this news item. My reminiscences of July 20, 1969, are on Tor.com. Check it out! I've been subscribing to Locus, the trade journal of the science-fiction field, since 1982. Its editor in chief, Charles N. Brown, passed away yesterday, on his way home from Readercon 20. He was 72. We ran into each other for the final time on Saturday afternoon, I think, in the Green Room. He was on his scooter, and called out, "Hi, Rob." I replied, "Hi, Charles," then added, "You look well." He replied with a cheery, "As well as can be expected," or words to that effect, and was off. I joined CompuServe sometime in 1987. I used to be a sysop (system operator) of the WordStar Forum there, and I hung out a lot in the Science Fiction and Fantasy Forum (so much so that the command GO SAWYER at the CompuServe prompt would take people there). On October 10, 1989 -- almost 20 years ago -- I was given a "sponsored account," meaning I didn't have to pay for my connect time (I remember one year prior to that my bill for CompuServe connect time was $700). It was a joy to be able to go anywhere and do anything on that service without getting charged -- such was the online world back in the day. I made my first online friends on CompuServe -- including SF writers John E. Stith, Mike Resnick, Barbara Delaplace, and Roger MacBride Allen, and all sorts of WordStar users; many of them are still good friends to this day. And now, it's over: AOL, which acquired CompuServe some years ago, has finally shut down CompuServe Classic. CompuServe was a very important part of my life from 1988 until the early 2000s. I made friends there, I learned things there, I did tons of online research there (using a service called Magazine Database Plus), I won awards there (the CompuServer Science Fiction and Fantasy Forum's HOMer Award), I sold the one and only bit of shareware I ever wrote there (MICKEE: The Mouse Interface for the Control-Key Editing Environment, which gave mouse support to WordStar), I got my email there, I even hosted my webpage there for a while (with the ungainly address of ourworld.compuserve.com/homepages/sawyer, and (long before anyone had heard of blogging) I began this online journal there (with entries starting back in 1999 salvaged here). R.I.P., CompuServe. You were good to me, and you mattered, and I will always remember you. May 2009: An Amazing Month! For all of May -- starting Friday, May 1 -- I was "Author of the Month" at McNally Robinson, Canada's second-largest bookstore chain. Independently, both The Toronto Star (on Saturday, May 2) and The Globe and Mail (on Monday, May 4) had me as answers to clues in their crossword puzzles this month. On Saturday, May 2, I got to go to a press preview of the new Star Trek movie -- and loved it. On Wednesday, May 6, I gave an invited talk at the Center for Cognitive Neuroscience at Penn about the science behind my novel Wake. 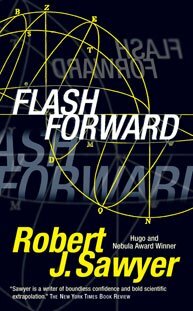 On Friday, May 8, ABC picked up the TV series Flash Forward, based on my novel of the same name, for 13 episodes, to air starting this fall. On Thursday, May 14, the Winnipeg Free Press, the largest-circulation newspaper in Manitoba, devoted the entire front of its Entertainment section to a profile of me. The following week, Wake hit #1 on the Hardcover Fiction bestsellers list in the Winnipeg Free Press. Also that week, the June 2009 edition of Communications of the ACM, the glossy magazine of the largest educational and scientific computing society, devoted its last page to me and Wake. On Wednesday, May 20, the Waterloo Region Record, a major Canadian daily newspaper, ran a profile of me on Page 1 of the Front section. On Monday, May 25, I gave the closing keynote address at the annual meeting of the Canadian Science Writers' Association. On Wednesday, May 27, I gave a talk about the science behind Wake at Google Waterloo -- with the talk video-conferenced to all Google facilities worldwide. 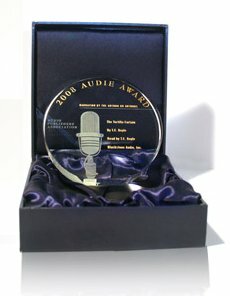 And on Friday, May 29, Calculating God won the Audio Publishers Association's Audie Award for Best Science Fiction or Fantasy Audiobook of the Year. And much more! See all of my May 2009 blog entries here. 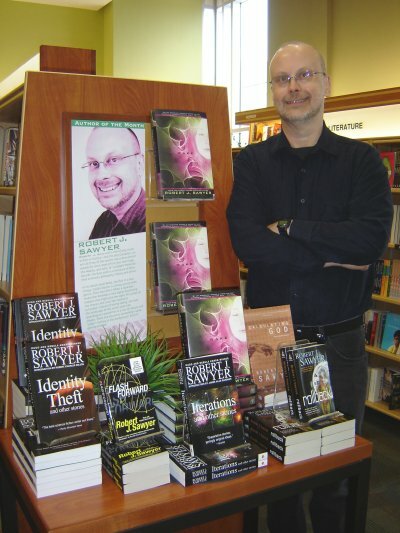 May 2009 "Author of the Month" Robert J. Sawyer at the McNally Robinson store in Toronto; this photo by Carolyn Clink also ran in the Winnipeg Free Press on May 14, 2009. In the 500-channel universe, it's easy to lose sight of the fact that the big-four American broadcast networks -- ABC, CBS, NBC, and Fox -- still dominate in terms of audience size. Nothing on cable comes close in audience reach as far as dramatic television is concerned. And it's with considerable delight and pride that I note that the Flash Forward TV series is the first time in over a quarter of a century that a big-four US network has based a TV series on a Canadian novel. 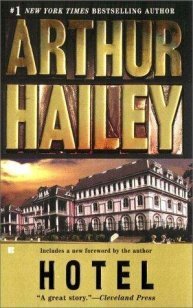 The last -- and, I believe, only previous -- time was in 1983, with the series Hotel, based on Arthur Hailey's novel of the same name (although Hailey was not born in Canada, and he left Canada for good in 1965, he was a Canadian citizen). Now, as it happens, two of my favourite ABC TV series when I was a teenager were based on novels, but by Americans: The Six Million Dollar Man was based on the novel Cyborg by Martin Caidin, and The Night Stalker was based on a novel by Jeff Rice. Having my novel become a series on ABC, of all places, is extra-special to me because of that. 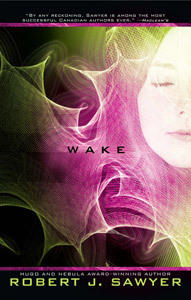 Penguin Canada's edition of Wake going into a second printing! On Thursday, May 7, I was in at Penguin Group (Canada)'s offices for some meetings, and received the wonderful news from Don Robinson, Vice President of Sales, that just twenty-three days after the Canadian release of Wake, Penguin Canada is going back to press for a second hardcover printing. W00t! Of course, Penguin has done a great job getting the book out there, but I also have to thank Canada's independent booksellers, and the two chains -- Chapters/Indigo and McNally Robinson (where I'm Author of the Month chain-wide for May) -- who have all gotten behind the book. Needless so say, I'm thrilled! I'm a crossword puzzle clue! Many thanks to my old friend CBC Radio producer Doug MacDonald (who produced "What If? An Exploration of Alternative Histories," a two-hour Ideas documentary series I wrote and narrated in 1990) for bringing this to my attention. Update: Holy cow! 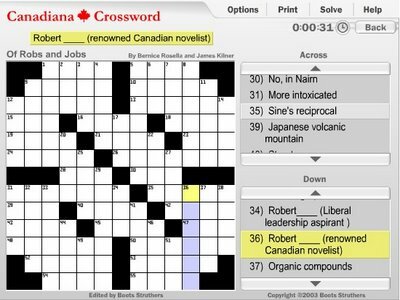 Turns out I was also independently the answer to a clue in the crossword puzzle in The Toronto Star on Saturday, May 2: 76-Down was "Science-fiction author, first writer-in-residence at the Canadian Light Source (Saskatoon)." How cool is that? Canada's wonderful bookstore chain McNally Robinson has been a great supporter of my work over the years, and I've become friends with many of their booksellers (including Kent Pollard and Ian Goodwillie in Saskatoon, and Chadwick Ginther in Winnipeg). Tomorrow afternoon, I'm going to drop by the new McNally Robinson store in Toronto to sign stock, and on Saturday, May 15, I'm signing at the chain's flagship store in Winnipeg at 2:00 p.m.
Carolyn decided the picture of my Nebula Award trophy on my website sucked -- and it did; it was a low-res scan of a print that we'd put up back in 1996. 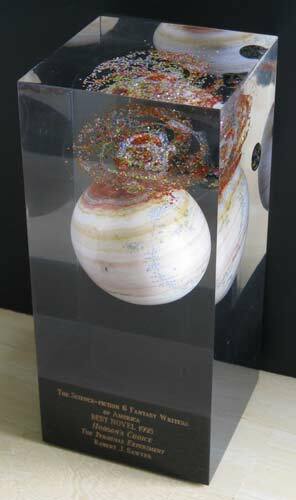 I won the Nebula in 1996 for my novel The Terminal Experiment. That was the period when William Rotsler, the artist who hand-crafted the trophies each year, was designing the best-novel trophies based on the winning author's work. For Greg Bear, the year before, who had won for Moving Mars, the Lucite block contained a large polished red sandstone sphere that looked like Mars; for Nicola Griffith, who won the following year for Slow River, the lapidary stones in the Lucite had mostly settled to the bottom. 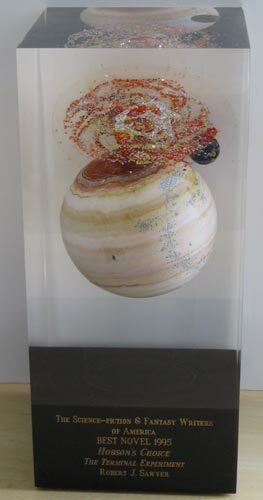 For me, he actually honored my Far-Seer trilogy by featuring a giant polished agate that resembled a Jupiter-like planet, with a too-close moon orbiting around it (you can't see the little moon on the face-on view, but it's clearly visible in the side at the right of the picture and also at the top). At the top, there's a spiral nebula -- the one constant element in all nebula designs. The Nebulas are given by the Science Fiction and Fantasy Writers of America; they are the field's "Academy Award." Oh, and here's an essay about the night I won the award. Y'all know I submitted Watch, the second volume of my WWW trilogy to my editors (in Toronto, New York, and London) on Monday of this week. And just before midnight tonight (Friday), I finished up the only other outstanding project I had. I can't tell you much about it, except to say it's a TV project, and has nothing to do with Flash Forward, but I've now finished my work on that, too -- and I think it turned out quite well (not to mention the fact that I had a blast doing it). And so I acutally get to take a day off: Saturday. And it'll be a fun day, too: my family is getting together to celebrate my mother's 84th birthday. On Sunday, it's back to work: off to Paris, Ontario, for the wrap up of "One Book, One Brant." Monday and Tuesday will be spent doing research reading for Wonder, the third WWW book. And then on Wednesday, it's off to Los Angeles to watch part of the filming of the Flash Forward TV pilot. Whew! 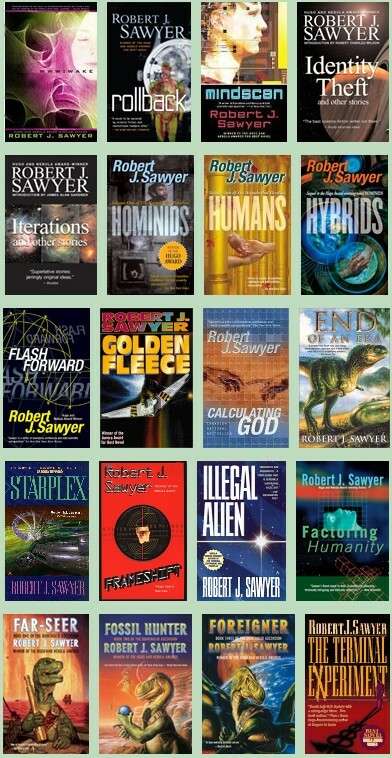 Over at Locus Online, Mark Kelly has updated the indispensable Locus Index to Science Fiction Awards with results through the end of 2008 (and he's also given it a very attractive facelift). Here's the entry on me. And nice to see here that I'm in 8th place overall for total award wins in the history of the field, and am in the top 30 overall in total number of nominations. How cool is this? 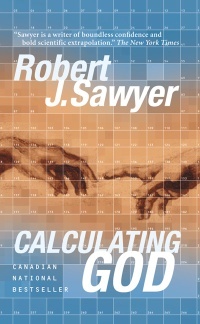 Just received word that a Ph.D. student in the School of English at Aristotle University of Thessaloniki -- the largest university in Greece -- is doing her Ph.D. dissertation on the works of Robert J. Sawyer. I have a great fondness for Greece: I love its history, and visited the country in 1978, and, of course, the central symbolism of my first novel, Golden Fleece, is drawn from Greek myth, and the plight of Theodosios Procopides in Flash Forward is a riff on classic Greek tragedy. My friend Stephen Kotowych points out that this article in the Sunday, January 25, 2009, New York Times [but online since yesterday] says, "Back in 1996, [Brad] Meltzer built what was arguably the first author Web site for his first novel ..."
Poppycock, says I! My website has been online since Wednesday, June 28, 1995. I've never claimed it was the first author website, but it's often referred to as the first science-fiction author website (and Reuters called it that many years ago in an article). So, how hard would it have been for the crack journalists at the New York Times to find out if any author websites predated 1996? Well, how 'bout a quick Google search on "author website 1995" (without the quotation marks). Oh, look, lo and behold, right there on the first page of results is my website, and this snippet of text: "Author of 17 SF novels. 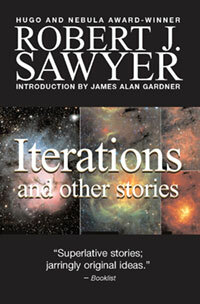 Sample chapters from each book, full-text short stories, ... This web site online since 28 June 1995 — it's older than Amazon.com!" Its current home, of course, is at sfwriter.com. I've now finished 18 novels, and, as of yesterday, have finished editing my fourth anthology, and I have three collections (including one, Relativity, that's mostly nonfiction). That's a total of 25 books.